Learn traditional techniques of figure sculpting with clay in a welcoming and inspiring environment. All levels of experience are welcome. 10 Day Sculpture Retreat May 13- 24, 2019. Learn how to sculpt the human figure in a beautiful private Chateau in the South of France. Thank you for your Waiting List entry! In this intensive workshop we will sculpt a partial standing figure at half life scale from the inspiration of a live model. The focus will be on form, flow, basic anatomy and gesture. Water-based clay and use of armature included in materials fee. Sculptures will be able to be hollowed and fired. Forget about all your daily concerns and dive into the gesture of the body in this 5 day intensive evening workshop! We will work with a different type of pose each session, starting with the most basic and building up to the more complex. This will build on our skills of observation for any type of position the body presents us with. Beginning students focus only on body position and basic proportion to create a figure with weight and stance. Intermediate students can also add in body type. form and proportions to increase their visual observation. The standing pose exercises will be done on armatures (not possible to preserve and fire) and the seated and reclining pieces have the option of being done without an armature so that you can keep the clay study after the course. Discover the expressive possibilities of the human face. 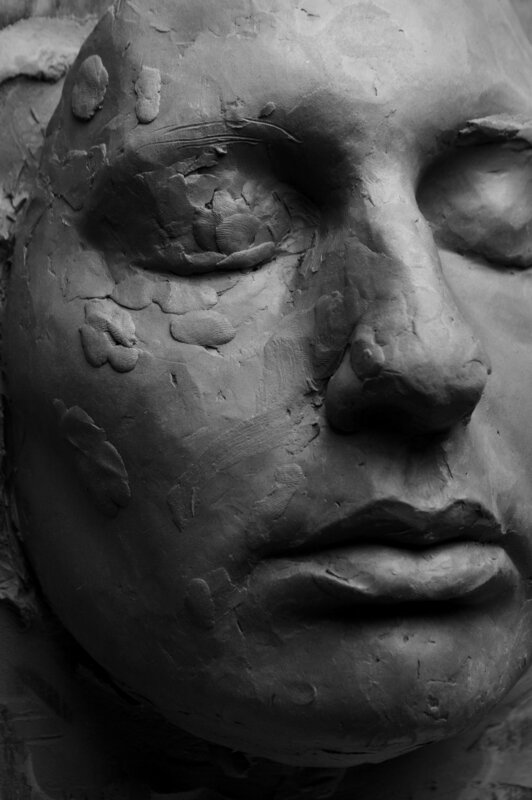 Beginning from a strong base of anatomy, proportion and accurate observation, we will experiment with subtle emphasis of the forms, adding texture, and the element of creative narrative to bring your own meaning to the sculpture. We will be working in high relief on a vertical surface to create a mask portrait. Last portion of the class will be spent hollowing out the piece to prepare it for firing. Great wall display piece. Enter your email below to be notified about future sculpture courses in Canada, as well as upcoming travel workshops and sculpture retreats in Italy, France, or Spain. Not sure which class is for you? Have a question? Send me a message and I'll be in touch soon!